Unfortunately, businesses encounter IT problems on a regular basis that they’re not at all prepared for or equipped to deal with. Luckily, Orpiv Technologies only needs a few minutes of your time in order to begin solving your company’s digital dilemmas and start determining exactly what we can do for you. Even if you have never had a single problem, we offer all sorts of digital solutions to ensure you never do. In fact, the services we offer can basically be considered essential nowadays in order for your company to survive and especially succeed. Since our inception, we have had over 100 customers across the Jammu and Kashmir, and every single one has been satisfied with our services. One client in particular actually picked us JUST BECAUSE we were brand new and they wanted to see what we could really do for their company. Long story short, we sure showed them what we could do and they are still one of our many happy clients to this day. Let us be your one stop shop for all things having to do with IT solutions and digital data. Contact us ASAP for a complimentary consultation while there’s still time to make 2019 your best year ever! 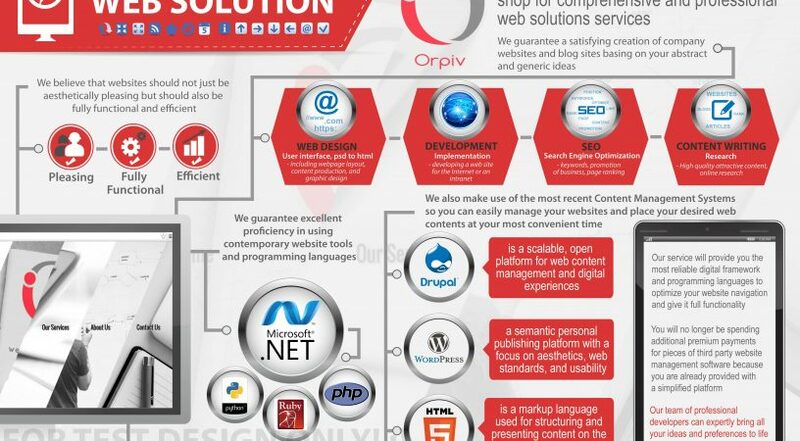 Because at Orpiv, we deliver the best! How to promote or marketing your software business? how is software development transforming businesses? How to make money by mobile app development?